The Double Square Up is a Prototype that we have been sitting on for years. 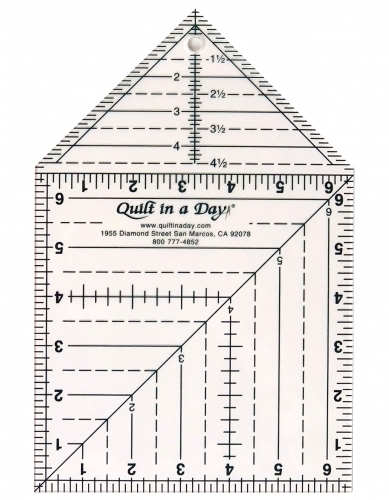 Help make Quilt in a Day history and bring this ruler to market. The Top Half works like a 4 1/2" Triangle Square Up. This portion is great to square up Half Triangle Squares, Quarter Triangle Squares and Tri-Square Patches. Turn the ruler around and the Square up any patch to 6 1/2" inches. I think this will be your Go-To Ruler for most of your square up needs. Try it out and tell us what you think on Facebook.